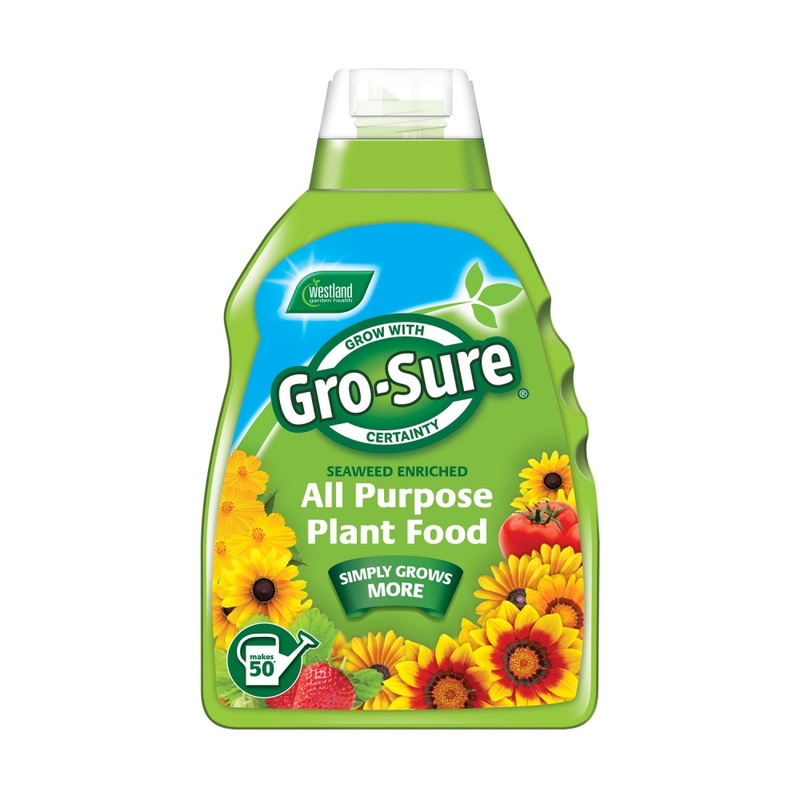 Westland Gro-Sure® All Purpose Plant Food 1ltr 'Seaweed Enriched' liquid feed great all-round feed for plants, vegetables and flowers in gardens and inside the home. A fast-acting feed packed with nutrients for healthy longer lasting flowers, fruits, leaf & root growth. Supplied in a 1 litre bottle, makes 50 watering cans of water diluted plant feed. Used as a general purpose plant food, ideal for all plants, fruits, vegetables and even the lawn, ensuring nutrient rich plant growth and yield.